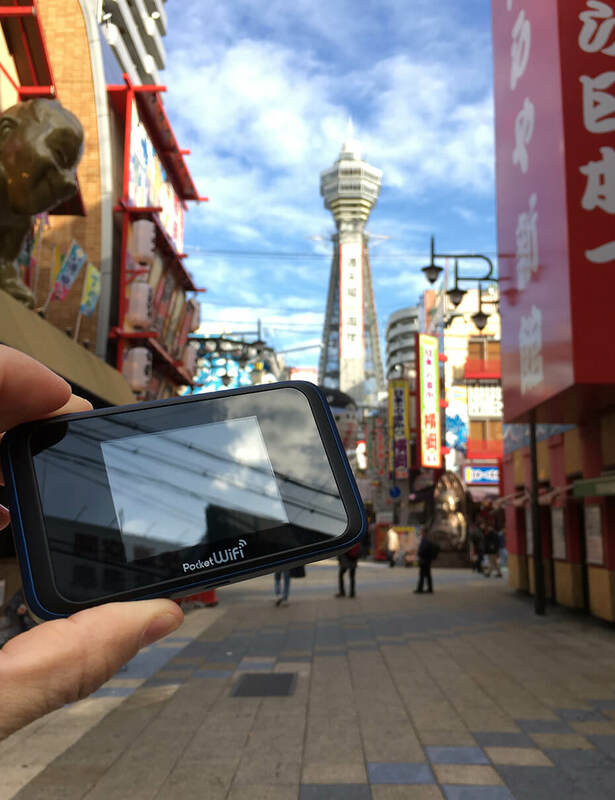 Stay connected with JAPAN Rental Pocket WiFi routers in OSAKA. Osaka rental pocket WiFi available! 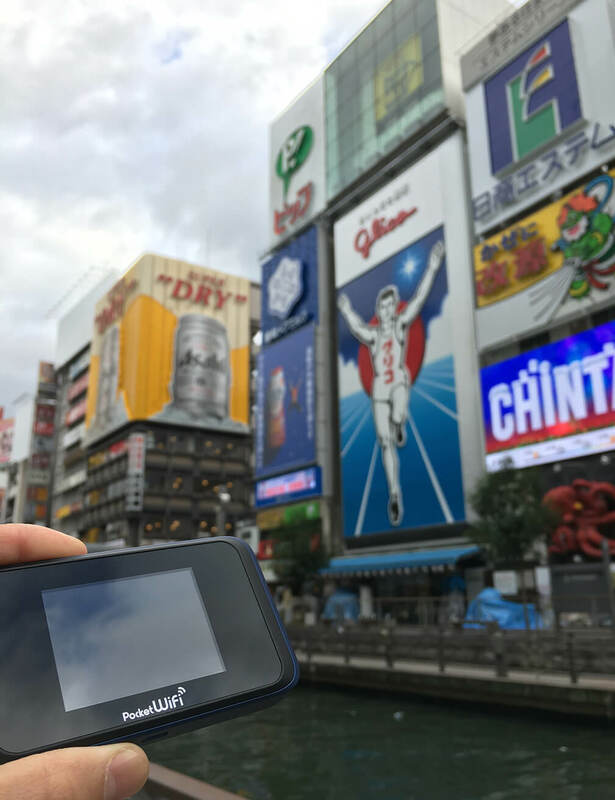 Rent a pocket WiFi to enjoy your visit Osaka! You would be connected as soon as you receive it at the airport. Delicious food, unique culture that is totally different from other region - Osaka attracts anyone who has once visited there.Osaka is located in the middle of Honshu island, nearly center of Japan. The region called "Kansai" where includes Kyoto. 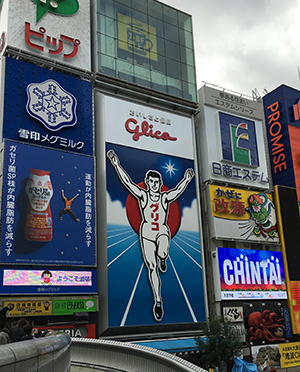 The picture on the right is the famous image of Osaka which is at Dotonbori. 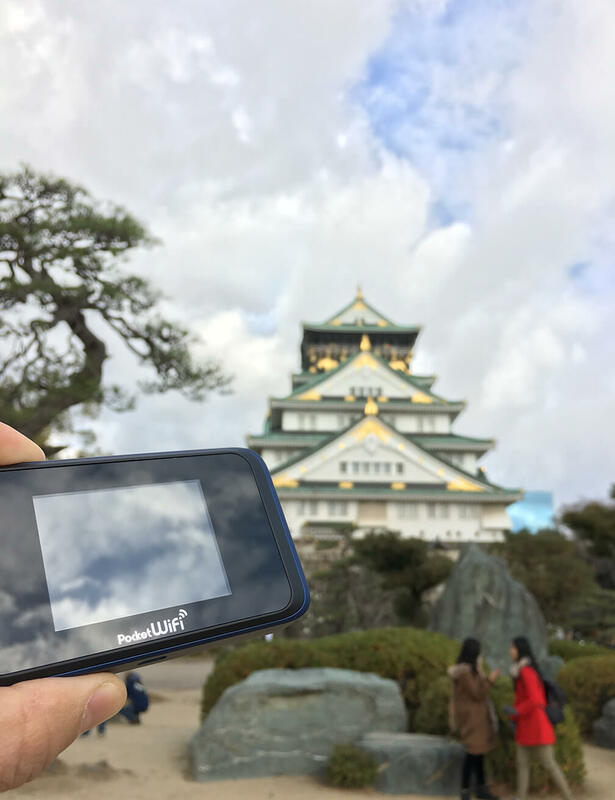 There are so many place to see in Osaka such as Osaka castle, Tsutenkaku Tower, Universal Studio Japan, Abeno harukas, the highest building in Japan as of 2016 and so on. The easiest way to access to Osaka from overseas would be by air. There is Kansai International Airport in Osaka and you can fly directly to Osaka. If you use Haneda or Narita Airport which are located in Tokyo area, you can take Shinkansen, the high-speed railway, which takes about 2 or 3 hours from Tokyo station. When you visit Osaka you may want to visit must-see spots like Osaka Castle, Tsutenkaku tower, Dotonbori and so on. 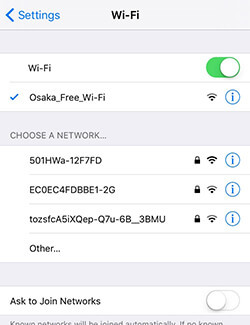 Since, in Osaka city, there are so many free WiFi spots you can find them easily. However it's often hardly connected maybe because of so many people connecting at the same time. This happens espaecially in the popular city. So you might get stressed when you just want to look for the name of the restaurants near you. On the other hands, you would be free from such kind of stress if you have a rental pocket WiFi. You can connect to the Internet easily even in the crowded places. You would always be connected where free WiFi spots don't cover. You would want to use Google Maps as a navigation. Yes, you can. You can be connected even in the subway. So you can look for how to get to the restaurants after you arrive at the station in transit, for exmaple. With a pocket WiFi, you can share the WiFi network with your friends and family. It's much more useful than free WiFi spots or SIM cards. You don't want to waste time to look for a free spots or to wait to be connected everytime you find free spots, do you? You can rent a free WiFi at reasonable price and your trip would be much more fun! So why not? where free wifi is hardly connected! 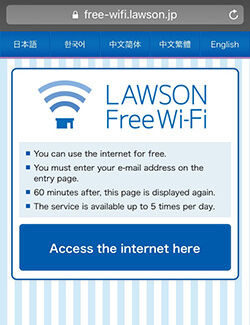 Free WiFi available in OSAKA area? 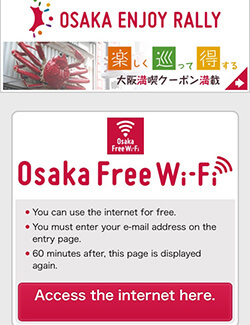 Osaka has been strengthening free Wifi environment since 2014 and you can find the free WiFi spots rather easily. Sometimes you need to register your email address to get connected. As mentioned above, you might have hard time to connect but it's completely free. So if you have enough time for connection it might be a good idea to make the most of the free WiFi spots. 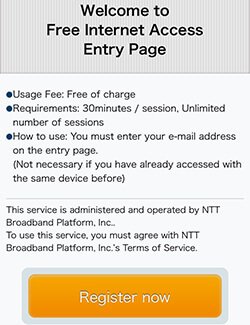 Here you can find a couple of free WiFi service you can find in Osaka. Osaka has been strengthen Free Internet connectivity for several years. 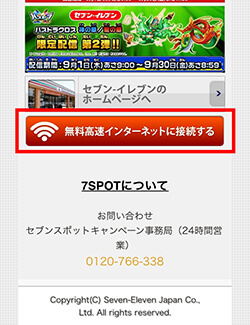 So you can find free WiFi spots in around Osaka city. First time you connect to the free WiFi spot you need to register your email address. 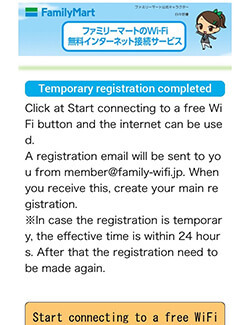 Then you will be connected at anywhere Osaka free WiFi is available. 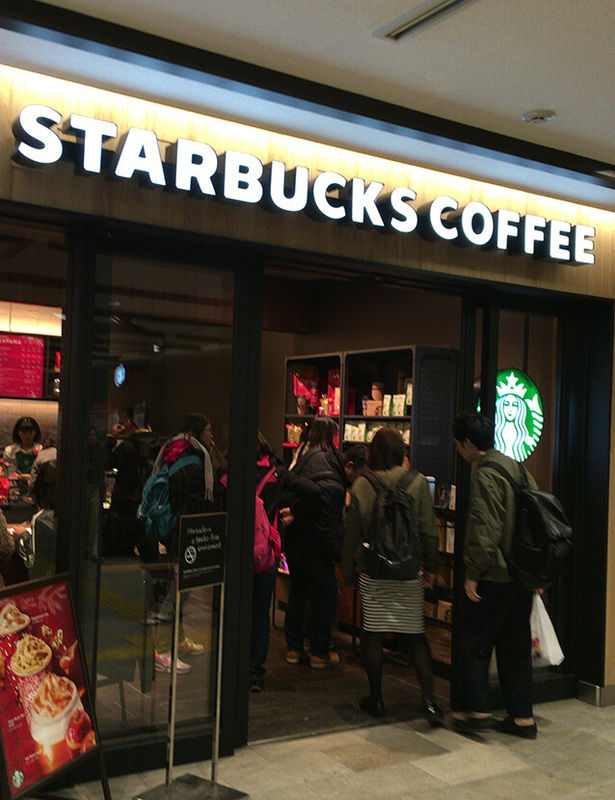 If you want some coffee you might look for Starbucks. In Osaka like other major city in the world you can find one easily. As they offer free WiFi servive you can use Internet while you enjoy coffee. It would be more connectable than Osaka Free WiFi. You need to register your email address when you use the service for the first time. You can find convenience stores everywhere in Japan. And many of them are offering free WiFi spots. Some of them require your emails address to be registered. Available at Seven Eleven, Familymart, Lawson. There are so many spots you want to visit but the time is limited. You don't have extra time looking around free WiFi spots or waiting for connection to free WiFi. You don't want to lose your precious time for connecting free WiFi we surely recommend to rent a pocket WiFi. With a pocket WiFi you would be able to concentrate on your trip, which would make you trip memorable!